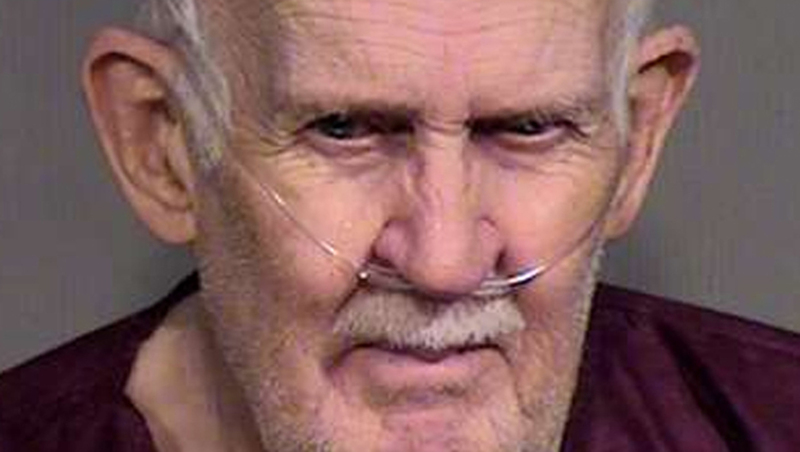 PHOENIX - A warrant has been issued for a 79-year-old Arizona man who was on house arrest in the shooting death of his 73-year-old wife. The Maricopa County Sheriff's Office says Howard Rudolph, of Sun City, went missing after apparently removing his ankle monitoring bracelet. Rudolph did not appear for a court hearing Monday. He is charged with second-degree murder in the August 2013 death of Earlene Rudolph. The husband was arrested Aug. 7 amid indications that the killing of his wife was a mercy killing. Sheriff's officials cited statements made by Rudolph about his wife being ill and what he wrote in a note found with a revolver at the home. Originally, Rudolph was being held on a $750,000 bond but in February, his attorney successfully argued for him to be released. The Maricopa County Attorney's Office opposed the release, as did Diane Davis, the victim's daughter. "He admitted in the police report that he did it," Davis told CBS affiliate KPHO. "How could they just say, 'Well, you're innocent until proven guilty, go out' and hope you come back? The judge made it very apparent he's a 79-year-old man. What's he going to do? He's not going to jump. He's not going to leave. And here we are. No one knows where he is." The Sheriff's Office says Rudolph may be driving a 2006 white Lincoln sedan. Davis tells KPHO she fears Rudolph may commit suicide. "I mean, from the get go, I knew he would not face what he's done. He's a coward," Davis told the station.